Achrimsdale Burn (497 yards par 5). The eleventh is a difficult hole to club. The line off the tee is the left edge of the fairway. It is the second shot which presents the problem. 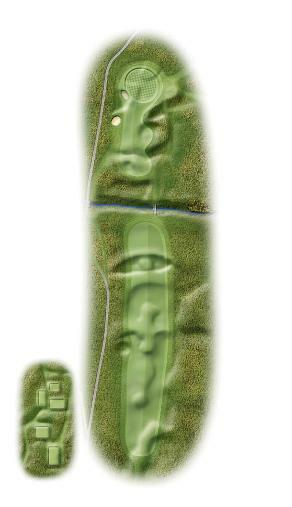 The green, protected by a hollow at the front and bunkered to the left, is narrow, with the bottom of the pin hidden. There is also the small matter of the burn which crosses the 11th on its way to the 7th.